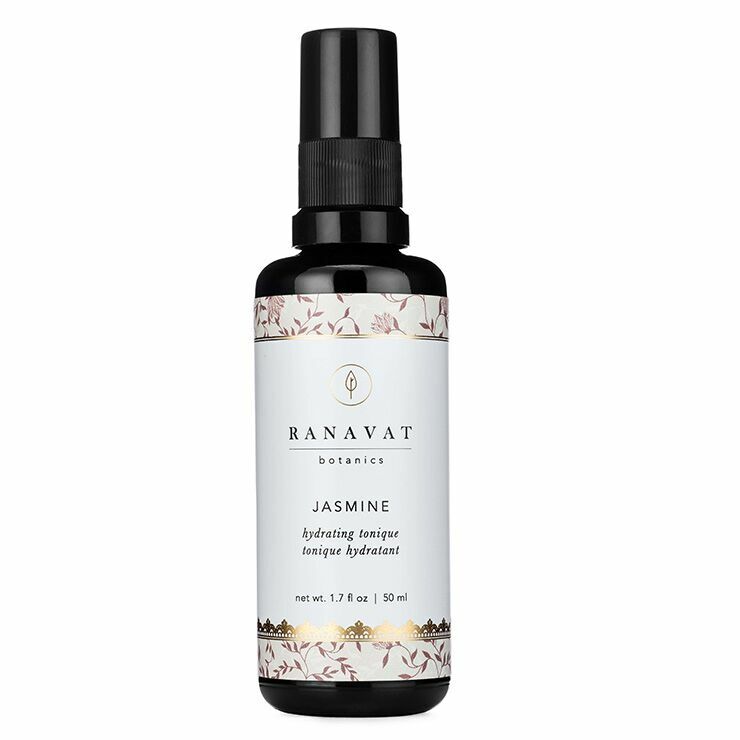 Ranavat Botanics Organic Jasmine Tonique is the key to addressing dry, lack luster skin. This bottle of beautiful steam-distilled Indian jasmine flower holds many benefits. Use as a toner to moisturize skin and smooth the appearance of fine lines and uneven skin tone. Spritz on throughout the day to deliver a feel of rejuvenation and freshness to the complexion. Mist onto skin and hair to bestow a relaxing and calming feel to mind and body and lift the spirits. The exquisite scent will make this mist a favorite. To use as a facial toner, mist hydrosol onto cotton pad and apply to clean skin. Mist skin throughout the day as desired for a refreshing sensation. Use as a facial mask activator by misting over mask to rehydrate. Mist onto face and body anytime for lovely scent and to give a feeling of soothing calm to mind and body. Organic Steam Distilled Jasmine Petals. I love the scent with fair hydration, but the spray mechanism not good (either too heavy or too weak) and I end up wasting a lot of product without getting even coverage. And for that reason, will not repurchase until the spray changes. If you like jasmine this is the most authentic fresh from the plant jasmine flower smell. You know it is quality.